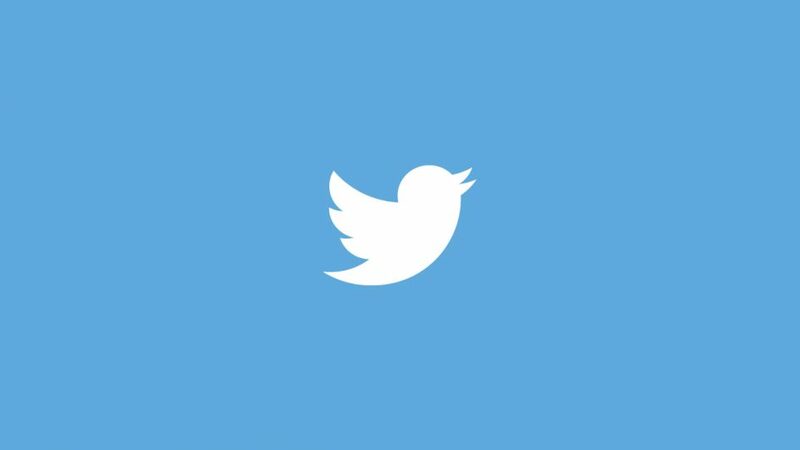 Twitter announced today that changes are coming to their API for third-party Twitter apps and clients such as Tweetbot and Twitterrific. For now, the developers of these third-party apps that will have to change and adjust their apps to meet the August deadline. These changes were heard in late-April 2018 with the rumored changes to come during mid-June 2018. However, due to the timeliness of the changes, Twitter has said that the official date that all of these third-party apps will have to be up to these new API standards is August 16, 2018. According to 9to5Mac and TechCrunch, the pricing for the Twitter Enterprise tier is going to cost nearly $3,000, but that developers will have to contact Twitter for the specific price. Twitter has not made all of these prices available to the public. 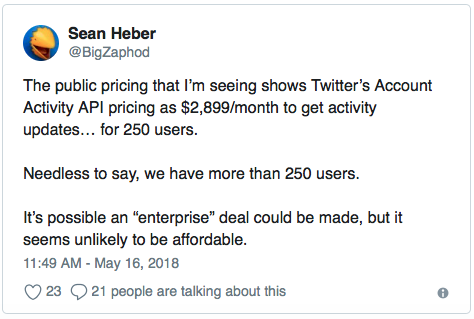 A developer from the Twitterrific third-party Twitter app has already mentioned some financial concern over Twitter about the new API changes and pricing of the plans/tiers. It should also be said that this all comes at just the day after Tapbots released their new Tweetbot 3 for Mac app in the Mac App Store yesterday. It is still on there as of right now and is priced at $9.99. The same Twitterrific had only this to say about his reaction to these changes coming throught the day after the release of Tweetbot 3 for Mac on Twitter. The most popular Twitter apps available for Apple devices will be Tweetbot, Twitterrific, Echofon and TweetCaster, just to name a few. Nothing changes today but everything regarding third-party Twitter apps will change on August 16, 2018.